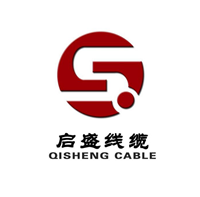 Product categories of Photovoltaic Cable, we are specialized manufacturers from China, Photovoltaic Cable, Solar Photovoltaic Cable suppliers/factory, wholesale high-quality products of Special Photovoltaic Cable R & D and manufacturing, we have the perfect after-sales service and technical support. Look forward to your cooperation! Solar technology will become one of the future green energy technologies. Solar or photovoltaic (PV) is increasingly used in China. In addition to the rapid development of government-supported photovoltaic power plants, private investors are also actively building factories and planning to put them into production worldwide. Solar components. Many countries are still in the learning phase. There is no doubt that in order to get the best profit, companies in the industry need to learn from countries and companies that have years of experience in solar applications. Building a cost-effective, profitable photovoltaic power plant represents the most important goal and core competencies of all solar manufacturers. In fact, profitability depends not only on the efficiency or high performance of the solar modules themselves, but also on a range of components that appear to be not directly related to the components. However, all of these components (such as cables, connectors, junction boxes) should be selected based on the long-term investment objectives of the tenderer. The high quality of the selected components avoids the inability of the solar system to be profitable due to high maintenance and maintenance costs.